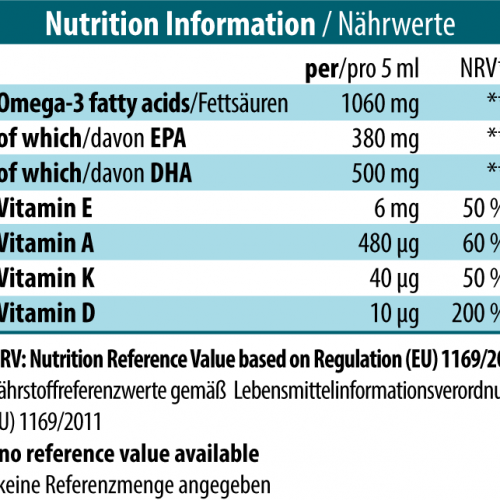 Our bodies are unable to produce Omega-3 polyunsaturated fatty acids. Therefore they have to be provided in sufficient amounts through a well-balanced diet. However, this does not always succeed. 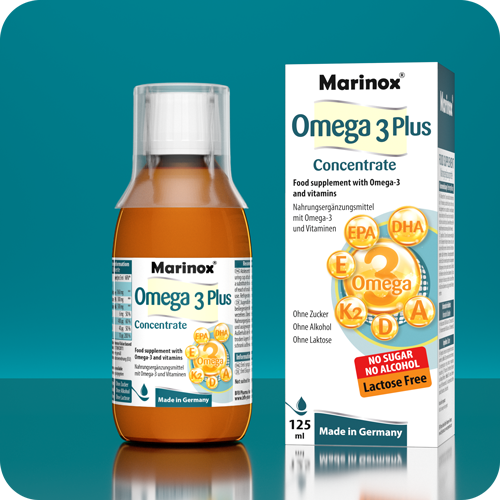 Marinox® Omega-3 Plus Concentrate contains concentrated Omega-3 fatty acids in high purity. EPA and DHA contribute to normal heart function*. DHA contributes to normal brain function and like vitamin A to the maintenance of normal vision. ** Vitamin D contributes to normal function of the immune system. 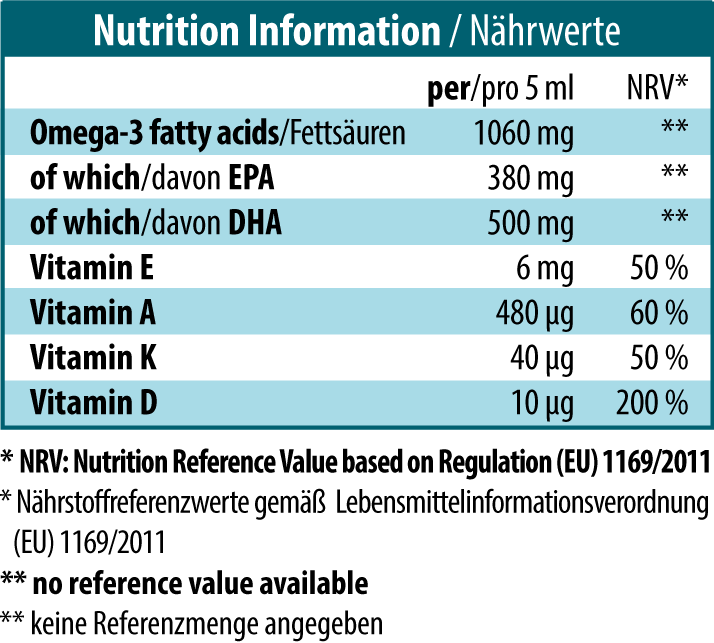 ..* the beneficial effect is obtained with a daily intake of 250 mg of EPA and DHA. ** the beneficial effect is obtained with a daily intake of 250 mg of DHA. Vegetable oil (medium-chain triglycerides from coconut/ palmkernel), sea fish oil 28%, preservative (extract of rosemary), DL-α-tocopherylacetate, retinyl palmitate, menaquinone, cholecalciferol.